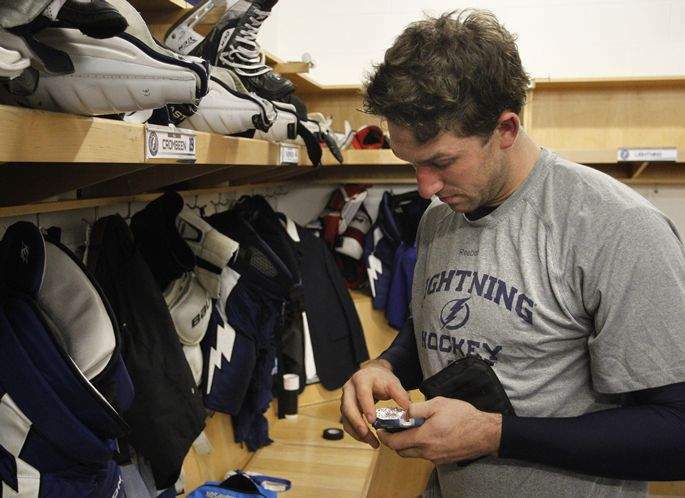 BJ Crombeen played with the Lightning for 2 seasons. As promised, here comes the first of four “throwback” posts sharing stories of historical players from the four remaining NHL teams that are battling for the right to raise the Stanley Cup as the 2018 champs. I figured that I better start with the Lightning as they are down 2-0 against the Washington Capitals in their series. 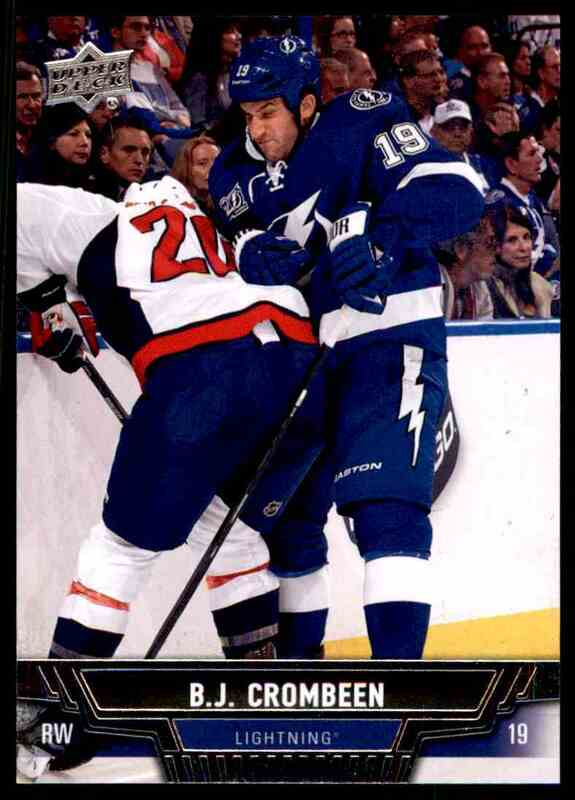 And so this time around, the spotlight shines on Brendon (BJ) Crombeen who played 445 games in the NHL, 99 of them with the Tampa Bay Lightning over the course of 2 seasons. 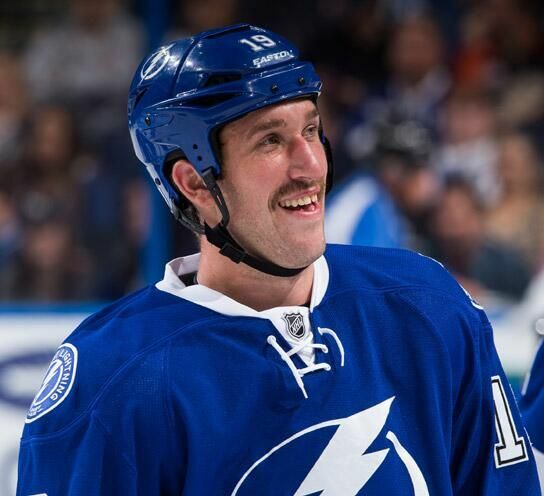 He scored 4 goals and 18 points in his time in Florida and amassed just under 200 penalty minutes. He was drafted by the Dallas Stars with the 54th pick of the 2003 draft. 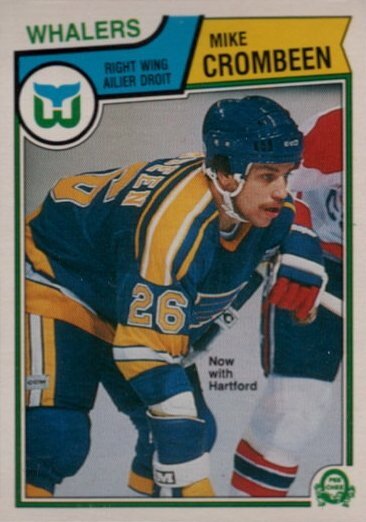 He also played for the Arizona Coyotes and the St. Louis Blues. His father Mike, also played in the NHL, appearing in 475 games with the St Louis Blues, Cleveland Barons and Hartford Whalers. Crombeen, diagnosed with Type 1 Diabetes at age 9, checks his blood sugar many times a day. Also, check out this article from the Player’s Tribune where BJ shares about his journey to the NHL. He says “I looked at my skill set and thought my best chance was to show a willingness to fight and stand up for teammates — so that’s what I did.” He also shares about being ready for life after hockey and gives advice to aspiring hockey players on how to transition out of the game when that time comes. My takeaways from Crombeen’s story. 1- Daily Needs – I work in the school system and some of the kids in my program are diabetic. Over the 3 years that I have been working in my current after school program, I’ve had to learn the ins and out of analyzing blood sugar reading and helping the students in my care take their blood sugar reading and get the insulin they need. So that part of Crombeens story connected with me. However, what caught my attention was when he talked about how people need their wallets, keys, phone etc. to head into their day, and for him, it was the same except he also needed to take his diabetes kit. As Christians, we go through the day like everyone else, too. We have the things that we need for the day. But like Crombeen needs to have his diabetes kit with him to keep him safe and healthy, as a Christian, I need to be intentional to invite God into my day for my spiritual health. I need that time to connect with God, and ask Him to guide me through the day. Sometimes I can get in such a hurry that I leave something behind, a wallet, my work keys, – I even drove to work one day without wearing my glasses, which I need to legally drive. Like his diabetes kit, I need to remember that I need God to face each day. I need to make sure He is part of my routine. 2- The Battle for Control – BJ talked about how he realized that much of life was out of his control and that trusting Jesus is the only plan that won’t fail. He then wrote about his plan to prepare for life after hockey. Is this a contradiction? I don’t think it is. When we realize that so much of life is out of our control, it is important that we learn to trust God and his plan for us. However, If God leads us to take action as Crombeen did, to prepare for what may come next, well, that is a responsibility we should take. I think that God will lead us to many opportunities and experiences and while not all of them will be used the way WE think they might be, we can aim to be prepared for whatever may come our way.